A highly responsive modern fuzz, inspired by the Interfax Harmonic Percolator from the 1970’s. This pedal has been re engineered and improved to add better filtering and control, along with an LED on/off indicator. Switch the germanium diodes into the circuit to produced squashed, almost octave like tones, switch them out for more open classic fuzziness. 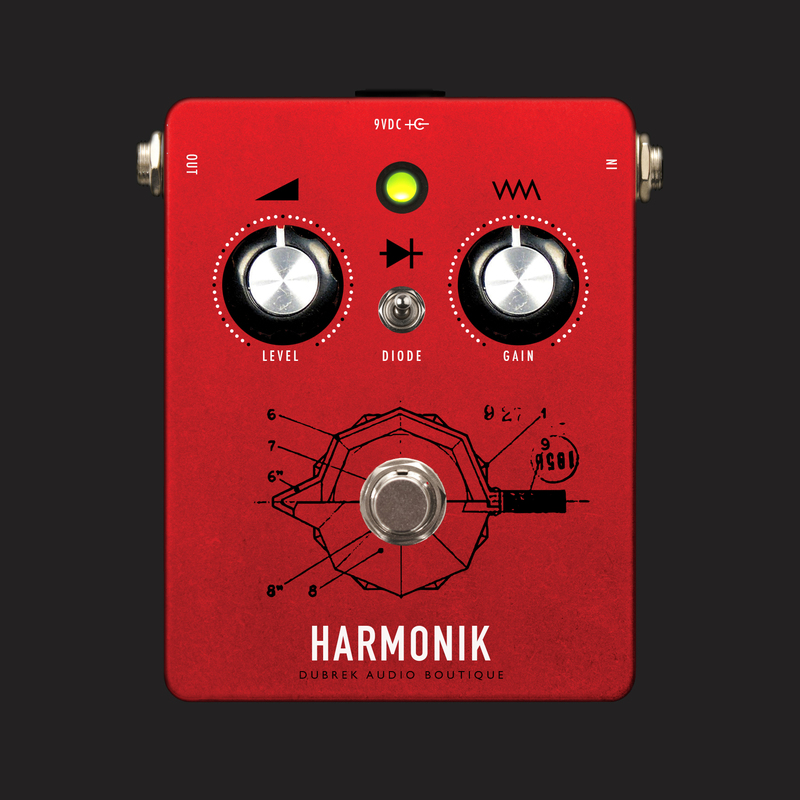 The Harmonik is constructed point to point on tag strip in the same way I build my studio equipment and each pedal is thoroughly tested before leaving the workshop.